Pressure is mounting on Puma to end its sponsorship of the Israel Football Association (IFA). The IFA includes clubs in illegal Israeli settlements built on stolen Palestinian land. More than 200 Palestinian sports clubs have sent a letter urging Puma to end the sponsorship deal. Just last week, more than 1000 tweets urged Puma to make ending its support for illegal Israeli land grabs a priority for its newly launched #REFORM campaign for social justice. We know Puma executives are listening. Let’s step up the pressure and convince Puma to take a leap for Palestinian rights. 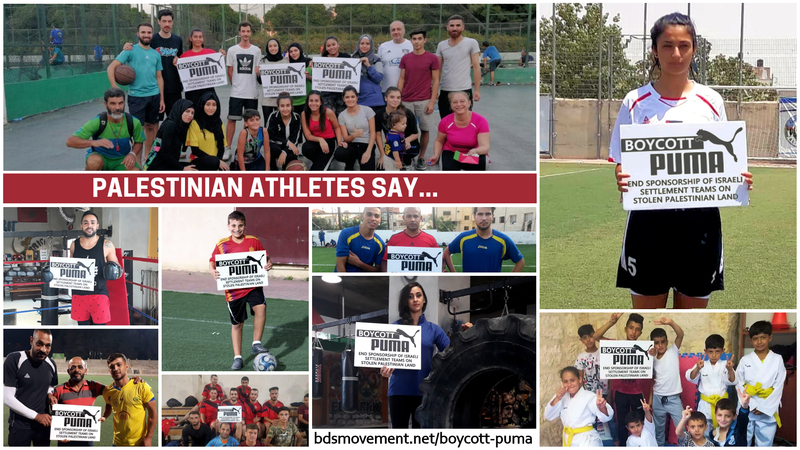 Today, together with Palestinian athletes, we are launching a boycott of Puma until it ends its complicity in sports-washing Israel’s war crimes and human rights violations. Last July it was announced that Adidas was no longer sponsoring the IFA following an international campaign and the delivery of over 16,000 signatures to Adidas headquarters. We can do this again. There are many ways to engage in a boycott Puma campaign. You can organize a consumer boycott of Puma sports gear, promote divestment from the company (selling off its shares by socially responsible investment and pension funds), and campaign for an end to sponsorship deals with the company. Contact us for more information on how to start a Boycott Puma campaign. 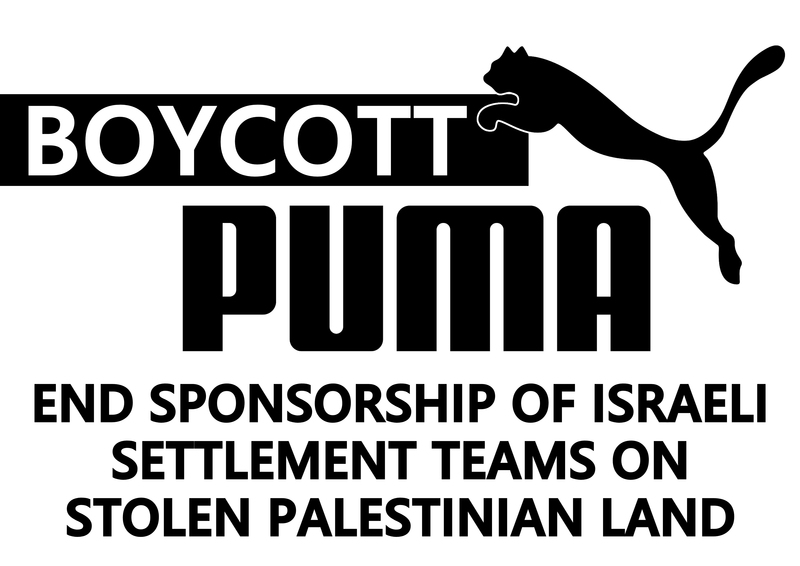 Join the Palestinian call to boycott Puma! Together, we can ensure Puma takes a leap for Palestinian rights!